Even in one of the biggest online markets in the world, sales can often reach a glass ceiling. From Amazon secret programs to the most common seller practices, this article offers 10 ways to increase your Amazon sales, based on our experience as a digital marketing company, promoting eCommerce business selling worldwide on Amazon. The tips can relate to any Amazon seller, from Private Labels on FBA (Fulfillment by Amazon) to enterprises fulfilling their own products. It is important to mention that different categories, products and audiences will react differently to optimizations, so the only way to make sure any of the tips would be useful for your product listings or Amazon seller account is to test it! As for all of us, there is one thing we can assure – the importance of reviews. When launching a product, the first step is to make sure you have an email automation set up, meaning that every customer will receive an email with a link to easily review the seller and, after the delivery, another email that will ask for a review of the product. Optimize your emails by testing for the best titles, content and call-to-actions to understand which provides a better open rate / review rate. If you are a new seller, do not pretend you own the world’s leading brand – that rarely works. Instead, be personal and talk about your own business – those messages usually induce more engagement. In addition, one of the best things you can do to increase your customer engagement with emails is to provide free value, such as a free PDF or an eBook related to the product you are selling. Services such as Jump Send and Quantify Ninja can do this automation for you and provide great features for any seller. Once you get an email automation and reviews are starting to flow, make sure to read them. When you read your customers reviews, you can understand what customers find good or bad in your product and change your product page accordingly to generate more sales, better reviews and even a vision for your next product. First, an Amazon seller should understand the basics of the search algorithm. Amazon is a seller like us – they’re always striving to get more traffic and convert that traffic into more sales. To do that, the search algorithm will show the product with a higher chance of being sold for a specific search term. In order for that product to be yours, you have to be relevant and maintain a higher conversion rate to appear on top. Make sure the keywords you are chasing, whether in your backend search terms, title or anywhere else in your product listing, are relevant for the product you’re selling. It’s always useful to do some competitor research and find out what keywords are working for other sellers. Reverse ASIN Search offers a good opportunity to find out the keywords with which any given ASIN is generating most of its sales. Both Amazon Keyword Research Tool from Sellics (free) or Keywordinspector (paid) provide such a service. You can use the Google database to find out what people are searching for on Google with Google Keyword Planner (free). Another service, that is more Amazon-related, is Merchantwords (paid). For a fair price, you will be able to find high-volume words related to your product. Once you know what keywords are relevant for you, use them in your listing properly. Seller name – Your seller name is actually indexed, so it is always recommended to use a relevant seller name for the niche you are selling in. Title – Your title is your best SEO tool, so make sure to test a few titles and try to examine which is more profitable. Do not use extremely long titles like eBay sellers tend to do. Try to keep it neat and informative, and use the most relevant keywords. It is a good practice to check Amazon recommendations – but make sure to keep testing! Bullet points – Test how they look on mobile – can users see all the information? Or do they have to click the bullets points to read more? (No, users don’t do this kind of thing – they are lazier than you think). 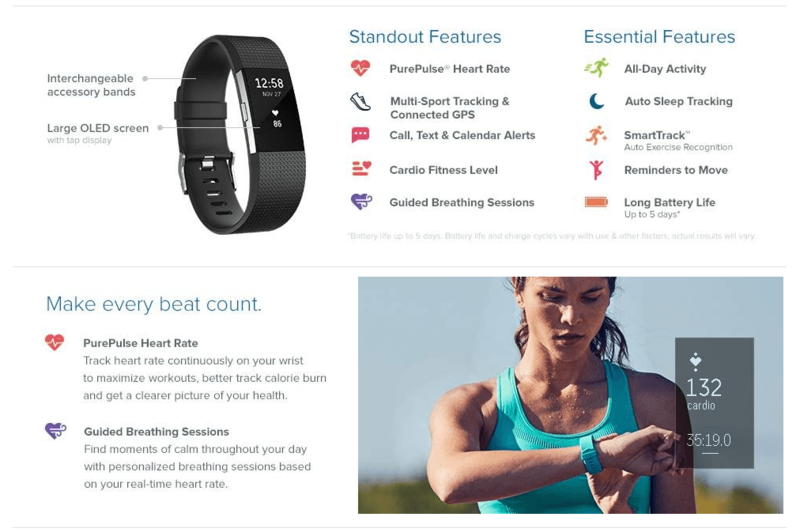 Product description – Now it’s time to dive in a bit and explain about the features or how to use the product. If your brand is registered (tip 5), this is a great opportunity to tell your brand’s story and vision, and to sell an experience rather than just a product. Q&A – This section also gets indexed in the Amazon search algorithm. Usually, users will not ask questions if they do not see any, so feel free to change that. Get a friend to ask a question using relevant keywords, and provide him/her with an excellent answer or, even better, let users answer these questions – their answers are more authentic and usually positive. It is very important to mention that Amazon SEO is not a one-time thing – it’s an ongoing project for any of your products. You should always keep track of new words and hook new relevant searches to your product listings. It is pretty common to use Amazon sponsored ads to promote products, but it is definitely important to use Amazon advertising campaigns to promote knowledge. When using Amazon advertising campaigns, you can get reports of what people searched for, and how many of them purchased. This will truly help you find quality keywords for your listing. If you do this carefully and precisely, you can find many keywords and implement them to get relevant Amazon organic traffic, even in your product title. You can use this Jungle Scout guide to organize Amazon Seller Central’s messy database and even an Automatic Campaign Optimizer by Teikametrics to make your life much easier. Lightning deals and other product promotions can get you more traffic and sales, ultimately leading to more reviews. You can read about creating a promotion on Amazon help. Do not do anything before you read a few guides! Both Salesbacker and CPCStrategy provide such information. 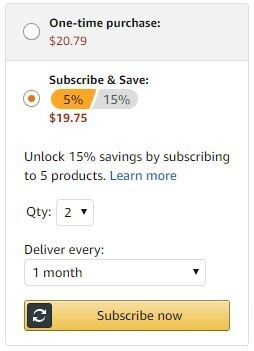 If you are selling a product that people tend to use and purchase again (toilet paper, for example) you should learn about the Amazon Subscribe & Save Program. The program allows sellers to offer discounts on their products when a customer subscribes. Customers are able to select the number of items they wish to receive as well as the delivery frequency. Sales always catch the eye. Even if your product is priced higher, when on “sale” it can get more attention. It’s a good idea to occasionally put your product on sale, and stay updated on your market’s holidays and trends. Amazon won’t allow new sellers to upload a video, but there is an easy way to bypass that. Get someone to buy your product and pay them for uploading a review with your promotional video. In the video, you can show how to use your product, what it does, or whatever feature you believe will appeal to your page visitors. If you are not an expert, send your product to a professional to get the best possible photo. Think about how to make your main image more informative and attractive. Unfortunately, Amazon allows only trademarked brands to apply for Brand Registry. You should not give up, as Brand Registry can be your first big step to set yourself apart from your competitors, allowing you to tell your company story in the product description section, and provide vivid instructions and more product pictures. Apply to the Brand Registry program on Amazon. If you are not trademarked, apply on USPTO (consider consulting with a lawyer). Increasing sales outside of Amazon is never an easy task, but it’s definitely possible and provides great return on investment if done properly. Usually the best practice is to provide a free product; some of the influencers who are willing to cooperate will charge for a review. Try to send your request to as many influencers as possible since the response rate may be very low. Some are not aware that many people nowadays dropship from Amazon to eBay. The way we can take advantage of that is to advertise a coupon for a few great eBay sellers – other eBay sellers usually copy their listings and then your products can spread like wildfire on eBay. You can find many eBay dropshippers on Facebook groups – share your coupon with the top rated sellers and make sure they are not pricing too low using your coupon (but do not worry, it’s their job to price higher…). On Q1 of 2017, Amazon secretly launched their own social media promotion program. You can try to get an invite here: https://www.amazon.com/hz/wishlist/inf-interest and stay tuned – it might prove useful in the future. Lately, Amazon is improving their B2B section and sellers using the program can earn from this traffic significantly. 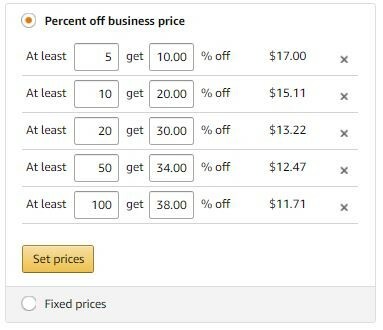 When selling for a business on Amazon, you can offer tiered quantity discounts, only available for customers in the Amazon Business Seller Program. 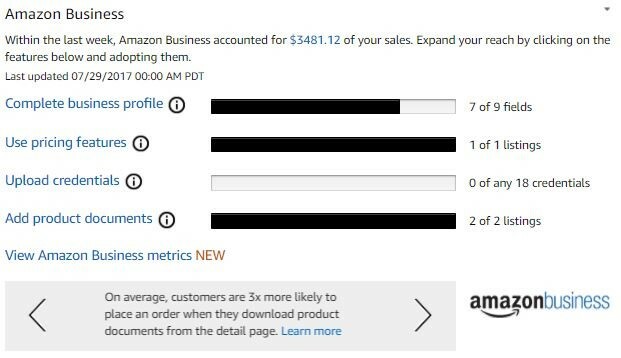 The Amazon Business Program is not available for every seller, but if you are in, make sure to read the tips on your Amazon Seller Central dashboard – some of them are really helpful for getting more B2B conversions. Specific products sold FBA are eligible for Amazon Global Export. Usually your chances are higher if your item is not oversized. Moreover, you can reach hundreds of millions of new customers who visit international marketplaces by selling globally. Depending on your location, some of the new markets may be easy to reach. This tip is probably the most important to improve the paycheck you get from Amazon: always keep your next product in mind. Use Amazon fee calculator, make sure you are not getting into a trendy product that may drop soon, and try to choose products that are not seasonal. You can use Google trends to test that. There are many Facebook groups for Amazon sellers, Amazon reviews, coupons, and so on. A great piece of advice would be to stay active in these kinds of groups. As Amazon keeps changing day by day, tips 1-9 may not be relevant tomorrow. This last one, however, will forever be relevant: you want to be the first in your niche to jump on the chances to get more traffic and better conversions for your product listings. To increase your sales on Amazon, make sure to follow all these tips carefully, be organized, and keep optimizing and testing – and your only issue will be keeping your items in stock. Always remember: for a product that brings you profit, it is much better to overstock (and sometimes even pay a long-time storage fee) than find yourself out of stock.